Young blue-throated macaw in conservation breeding program, high in a tree on flight exercise, resting. Each Parrot Festival features an endangered parrot species. This year the featured parrot is the much loved blue-throated macaw (ara glaucogularis). Bennett Hennessey of American Bird Conservancy (ABC), will present a seminar on its joint conservation efforts with Bolivia’s Asociacion Armonia blue-throated macaw project. (Organizations supporting this Barba Azul Reserve project include International Conservation Fund of Canada, IUCN NL / SPN (sponsored by the Netherlands Postcode Lottery), Loro Parque Fundación, Rainforest Trust, U.S. Fish & Wildlife Service’s Neotropical Migratory Bird Conservation Act Grants Program, Robert Wilson Charitable Trust, and World Land Trust.) A “museum-like” blue-throated macaw exhibit and other activities are planned. Think of your colleagues at work. Those days when you burst with the thrill of your parrot’s latest stunt. Your co-workers stare at you, uncomprehendingly, as you burst with pride. They later speculate at the water cooler about the psychaoactive substances you might have ingested at breakfast. At the Festival, on the other hand, everybody is just high on contagious birdlove endorphins. The excitement circulates palpably, as parronts, vets, zoologists, trainers, toymakers, shop owners, conservationists, field researchers, aviculturists and rescue workers share, learn and share again. This is how the phoenix rises, this is how the American bird community rejuvenates and reinvigorates itself annually. 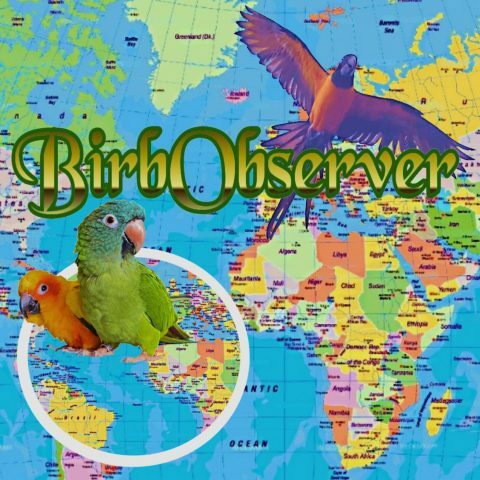 Brainchild of Houston’s The Two Lovebirds club, which hosted the first Parrot Festival in 1999, the National Parrot Rescue and Parrot Foundation has a two-fold mission: to rescue parrots locally and to educate parronts, future parronts, and avian organizations. In prior years, the rescue has dominated the 501(c)(3) non-profit’s efforts, with a stand-alone facility, which housed around 100 parrots. However, after the individual running the facility retired, efforts scaled back to maintaining a population of perhaps ten rescue parrots. Meanwhile the Parrot Festival effort opened throttle. Each year the Parrot Festival seeks to represent all interests in the avian community, with representative speakers from the following categories: conservation scientists, field researchers, veterinarians, rescue operators, behavior & enrichment experts, and aviculturists. For this years slate of speakers, click here. Every year the speakers rank among the most accomplished and respected in their fields. With pride, we can tell you at Parrot Festival we will meet with speaker Jafet Valez, FWS, Conservation Director for the FWS Puerto Rican Parrot reserve, and with caiques aviculturist Cliff Edwards in preparation for a February issue featuring those species. Hoping to see you at the next Parrot Festival if not this year’s! Joan Rakrhra, of the Facebook Group Joan’s North Wales Parrot Rescue, has personality! Who else gets away with telling her husband the four-bedroom house must be sold and the nearby seven-bedroom former B&B purchased so the live-in Joan’s North Wales Parrot Rescue, the only parrot rescue in Wales, can adequately provide for its parrots?! Joan came into parrot rescue through the backdoor: a certified dog-sitter with three children, Joan also often kept birds at owners’ request. A native speaker of Welsh, born in the mountains by Bethesda, and married at the age of sixteen, Joan in the 1990s found herself in Llandudno and began to find true happiness in parrots, with the acquisition of Billy the orange-wing Amazon in 1998. After divorce and happily into her second marriage, Joan’s parrot rescue took off. As more and more people asked Joan to care for birds in need, the rescue formally became RSPCA-certified. Joan will go to any necessary extreme to save a parrot’s life. Cockatoo Lola (now Rolo) emerged traumatized badly from an abuse situation. While his plucking diminished, three times he nearly killed himself by plucking out blood feathers in a fit of frenzy. At last anti-depressants gave Rolo– and thereby Joan– some peace. Located just off the main theater arts street, Joan’s rescue is in a restructured former B&B of 120 years age! Joan’s rescued blueandgold macaw Goldie soon was discovered as the ultimate pirate companion. First it was the two annual pirate parrot fundraisers, then it pacing the sidewalk in promotion of a pirate play; and now this winter Goldie makes his television debut with a full series of a children’s pirate superhero television show! Goldie’s got charisma and then some! Most rescues scramble for funds, regularly soliciting former patrons, having GoFundMe accounts and the like. The fame and popularity of Joan’s Wales Parrot Rescue means she can focus more on the delicious, nutritious chops she regularly prepares for the 21 parrot residents. The rescue has rehomed over 200 birds in the last three years! Joan has her own birds amidst the hubbub, in a special roped-off room: only she can enter the roped-off area last cacophony ensue. You are one of the Founders. What moved the founders to join together and establish a rescue/ sanctuary? (When was it established)? Established April 2000. We started thinking sanctuary was the way to go, because we aspire to a “forever home” and a safe place that will permanently protect our birds. However, the truth is that few, if any, sanctuaries are truly sustainable for long-lived birds. “Forever home” is a terrible misnomer to use for parrots. Also, most birds enjoy the interaction that a smaller home and family can offer. We are now an adoption and education organization only, no sanctuary. We promise a succession of good homes to every bird that enters our adoption program, no matter how many homes that may require. You serve a very widespread and broad community (I did see in recent APPA statistics that mid-Atlantic and south-Atlantic are the most dense bird-owning areas alongside California). What prompted (and when) the initiative to serve such a broad footprint? We started in one place, the Washington D.C. area. As more volunteers became involved from other places, we were able to establish operations in other places as well. Our only permanent long-term location is near Asheville, NC, because that is where our one facility is located. All other locations are volunteer-dependent, until we are able to open permanent adoption centers in other potential locations. What do you as a Founder personally take as most inspirational/motivational to continue in your work? As the instrinsic reward in the work you do? Seeing a bird go to a good family and start a new life is very rewarding to me. To see someone learn a new piece of information that will improve the life of their bird is equally satisfying! As a person relatively new to birds, I greatly appreciate the educational opportunities provided by Phoneix Landing in the Washington, DC area that I’ve attended. What observations led you to develop Phoenix Landing’s strong educational presence? Education and information are how we can make the biggest difference for the widest number of birds. Even someone caring for birds for many years can still learn something new, especially since there is always new information being developed. Keeping any relationship fresh can be a challenge, so I think we owe it to our captive birds to be long-term, eager learners. Often people think they want to run a rescue or Sanctuary, but managing a non-profit that takes in animals requires lots of business acumen! What kind of business or experience background do you recommend to those interested in such work? I think organizational skills are the most important in establishing and/or mananging a non-profit. define a mission, and operationalize ideas. People who care about animals can get bogged down on the emotional side, which will ultimately hinder their ability to be effective. So it’s very important to balance the practical and the emotional. What sort of impacts do you see from such legal developments as people moving to a state where they can no longer keep their particular species of parrot. What legislative/policy changes would most improve the situation of large exotic birds in the US/in your area? We’d like to see more legislative protections for birds, starting with their incorporation into the federal Animal Welfare Act. There are also many tragic situations where city/county/state officials can do nothing to help, because birds have so few protections. The welfare of birds need to be considered, balanced with the personal and property rights of people. Both are important. I have heard sometimes as people plan for the care of their parrot after their death, they may contact a sanctuary, and by a life insurance policy to provide for the parrots (I’m not sure if the parrot is a beneficiary and the sanctuaries trustees or how the details work). Is this commonplace and/or advisable, etc. There are very few sanctuaries that are sustainable. It might make us feel better that a bird has gone to this “permanent” place, especially if we’ve provided money for their care. However, it’s important to ask what the sustainability plan is for any sanctuary, and make sure it’s not just dependent on a small number of people with limited resources, which many are. What is your personal favorite kind of bird companion? Is there a predictable average time of stay for a bird who comes to Phoenix Landing for rehoming, or is it unpredictably variable depending on suitability of available matches for a specific bird? Frankly — if a home adopts a bird for five years, that is often considered a success. Because people’s lives change so quickly (health, job, family, time, etc), birds almost always need a succession of good homes. This is especially true for long-lived birds like macaws, cockatoos, and Amazons. This is why adoption for birds is so important! Don introduces Peaches, a special needs Moluccan cockatoo, in the first of Chloe Sanctuary’s Cockatude videos. Don’s work doesn’t stop with rescue, rehabilitation, training and maintenance. Chloe Sanctuary, also is on a mission to educate the public about large birds. Three years ago, Chloe Sanctuary started Cockatude, a YouTube channel of educational videos starring their now rehabilitated and trained sanctuary birds, Don and the sanctuary’s vets. Cockatude benefits both community and birds, but it also rounds out a great nonprofit model: the public version of each video is free. However, a sponsor, for the cost of a Starbuck’s coffee per month, gains access to fuller, private editions of each video. Peaches arrived at Chloe Sanctuary with Feather Destructive Behavior, (FDB), a neck mobility problem, and underweight. Like the other needy birds at Chloe Sanctuary, Peaches special care regimen is necessary for the length of her life. Of course, as a young bird, she will outlive Don probably by sixty years. Any volunteers stepping up yet? Peaches is high-maintenance. Charming when she imitates a fire alarm, she needed training and not to do so excessively. The vet treated Peach’s FDB with small amounts of Haldol. Having FDB for more than one year prior to arriving at the sanctuary, Peaches likely requires lifelong medication management to prevent relapse. (See Cockatude Episode 14: Feather Destructive Behavior). In addition, six of Chloe’s 27 vertebrae — all neck vertebrae, are fused, seriously impacting her self-cate. In fact, Peaches had only destroyed chest feathers because she lacked the mobility to destroy feathers elsewhere on her body. The fused vertebrae appear on the x-ray akin to a sway back. Don works eighteen hours per day, 365 days per year. With birds like Peaches, with their time-consuming, demanding care regimens (and cockatoos and large parrots require high levels of human interaction and attention to begin with), Don is a committed sanctuary keeper. Always, financial support to maintain a staff is appreciated, as these birds do require intensive attention. In fact, if more funds become available, Don would like to resume the training/adoption programs, with adequate staff to train and vet. Don confides he was unprepared for his first cockatoo rescue. Having owned two parrots in the 1970s, in the early 2000s Don found himself buried knee-deep in Parrots for Dummies, “nowhere near ready in my own mind to live with one of these complicated creatures.” But then he saw the posting for cockatoo Chloe: living but an hour away, Chloe’s parronts posted on a Friday that they would get “rid of the bird one way or another” that weekend. You know how the next chapter goes: Don drove off immediately to save Chloe. Over the years, alongside Chloe Sanctuary’s vets, Don has managed many cases of FDB in many large birds, frequently with the help of small, measured doses of Haldol (halperodol), judiciously administered. In fact, the vet reports a 90% success rate on Haldol alone, while sometimes additional drugs such are added. For instance, some breeds do not respond as well to Haldol unless Xanax (alprazolam) is also given. The vet sees Haldol’s advantage in its easiness to administer, the length of the dosing, and how it can be coordinated with the bird’s social schedule. Ruing his own mistakes with Chloe, Don sought out “a community of people who were rescuing, rehabilitating and re-homing” large birds, but his county had none. Don responded to the unmet need. Don enrolled in Susan Friedman’s Applied Behavior Analysis course targeting parrot behavior — “the wisest money I ever spent” as well as courses on non-profits. Within the year (2007), Chloe Sanctuary gained its official California and U.S. tax-exempt charitable organization status. The birds at Chloe Sanctuary live in a well-designed but enclosed environment: the birds each have a day cage, a night cage, a socialization room and, a shared outdoor aviary. Don notes that captive-bred birds are “autistic” in comparison to wild birds, lacking good navigation and quick reflexes. Don advises aviary use is critical to birds’ well-being, but should always be supervised. Careful aviary is critical to birds’ protection and enjoyment. The birds themselves need flight training to be safe as well. We congratulate Chloe Sanctuary on their tenth anniversary and hope you will make use of Cockatude educational videos and support the valuable work Don does with sponsorship. Our new page, No Room at the Inn, takes its inspiration from Don Scott of The Chloe Sanctuary. Starting August 15 this page will feature individual bird rescues and sanctuaries, focusing on their goals, methods and immediate support needs.